We are working with Pádraig on spelling words. We ask him things and encourage him to respond with words he spells by pointing out letters of the alphabet organised in quadrants. Today, for example, we asked him how he was feeling. 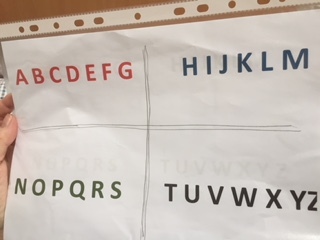 He pointed out a ‘G’, followed by an ‘O’, and another ‘O’, which is when we guessed the last letter. It seemed as if what we were teaching Pádraig was working. 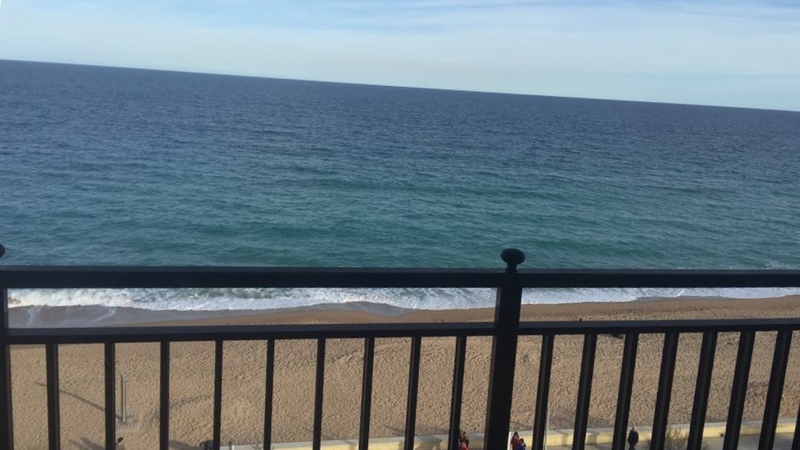 Just being back from Blanes, we then showed Pádraig the holiday snap below and asked him whether he knew where that place was. He said ‘yes’ and started to spell ‘B’ — ‘R’ — which is when we were about to stop the exercise, but decided to let him finish. He continued: ‘A’ — ‘Y’. While we had thought he had got lost in the chart, he was, of course, perfectly right. The beach on that picture looks exactly like the beach in Bray, just outside of Dublin. Turned out that we were not teaching anything to anybody here. We were being taught a really important lesson by Pádraig about how we are approaching things, about our assumptions, about our perceptions. Pádraig had no idea that we had taken that picture. We knew we had taken it, we had shown it to friends, we had commented on it. But never with him. And in this situation, and from his perspective, what we were doing when we asked him whether he knew where that place was — was playing the “Which place is shown on this picture”-game that he was happy to join. He was right. We were wrong. — And he taught us, and we learned from him a really important lesson. Think twice when making any assumptions based on your very own frame of mind during your communications with others. 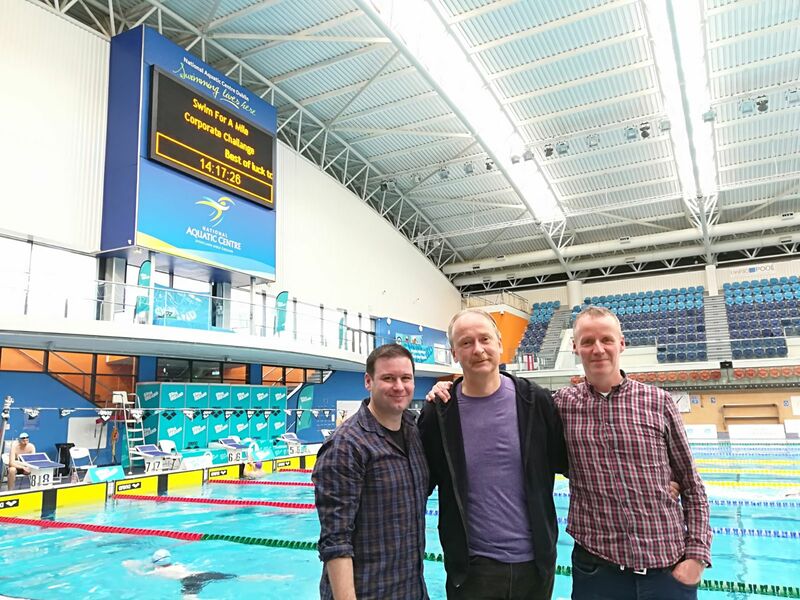 I took a break from running today and joined a brilliant swim team taking on Swim Ireland’s corporate challenge to swim a (relay) mile with some friends. I hadn’t been in the water for months and was so proud that I didn’t drown during the swim. While we didn’t quite win, we believe that we made it into the final and have been monitoring our email all night as we expect an urgent communication from Swim Ireland inviting us to compete in the grand finale of this highlight in the official Irish Swimming calendar. In the meantime: thank you to my friends-in-swimming who didn’t show any sign of embarrassment for having a lame duck in their team. Fair play! Finally: Ba mhaith linn ár mbuíochas a ghábháil le clann ó Choláiste Eoin as ucht an bhronntanais fhláthúil a bhronn siad ar Phádraig inné. Cuirfidh sé go mór lena shaol. So sorry to hear about the stroke, Michael. Would really like to see you. Last year, spring time, in Dingle, was a time I’ll never ever forget!